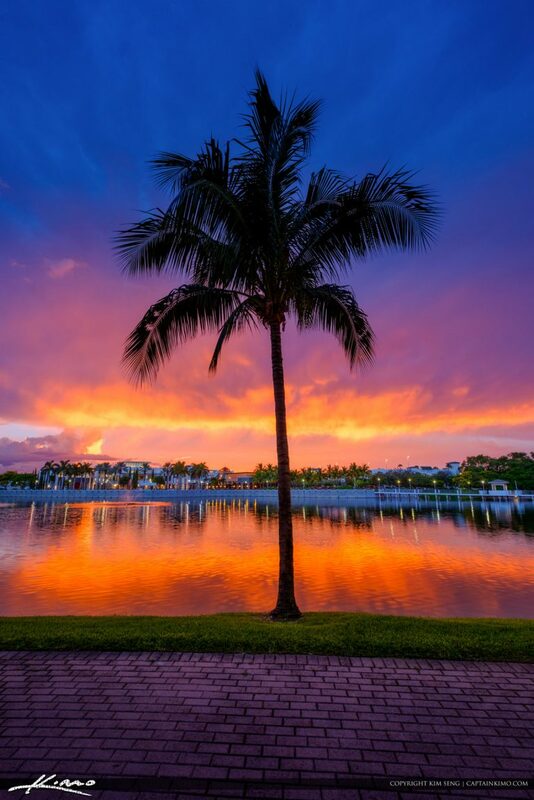 Sunset at Downtown Palm Beach Gardens Florida with a coconut at the Lake. 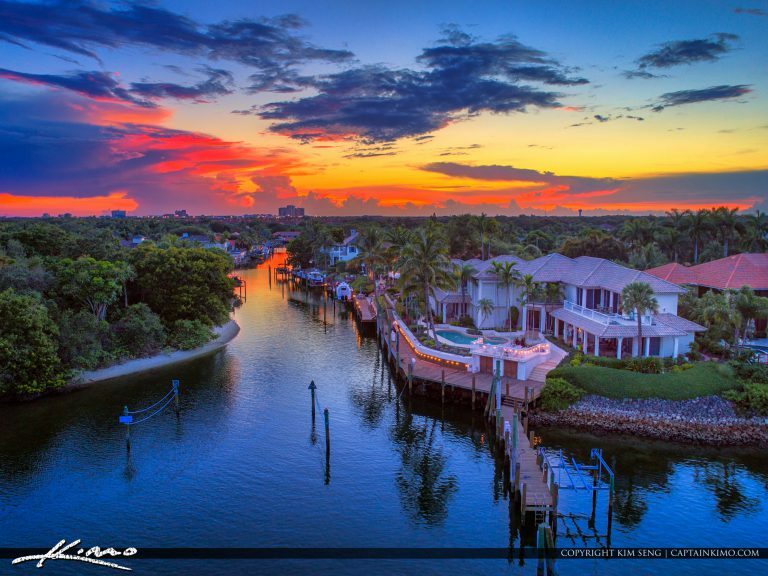 Amazing sunset tonight over Juno Beach and Palm Beach Gardens looking down the canal. 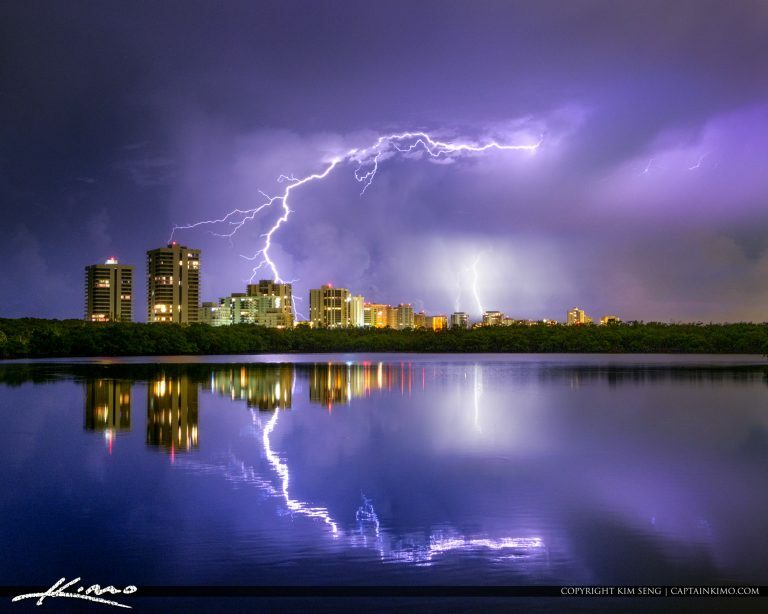 You can see the Landmark Condo in the distance.